Barangay Laga-an Captain Vicente C. Maquiller yesterday vowed that he and his barangay will pursue filing cases against those behind an illegal quarrying operation they have stopped Monday. Earlier, Provincial Environment and Natural Resources Officer Edgardo Rostata assured Negros Daily Bulletin (NDB) of appropriate action regarding the matter. Brgy. Captain Maquiller, attended yesterday afternoon’s hearing on the matter at the Negros Occidental Provincial Legal Office (PLO). Representatives from the Provincial Environment Management Office (PEMO) were also in attendance, among others. It was pointed out during yesterday’s hearing that the purpose of unloading the materials is to prevent damages to the truck, he said. “We will never submit to any pressure. We will pursue cases until the guilty is punished,” the barangay captain told newsmen. Officials of Barangay Laga-an in Calatrava town in northern Negros Occidental stopped the illegal quarrying operation Monday morning at Purok 2, some 26 kilometers from the town proper. 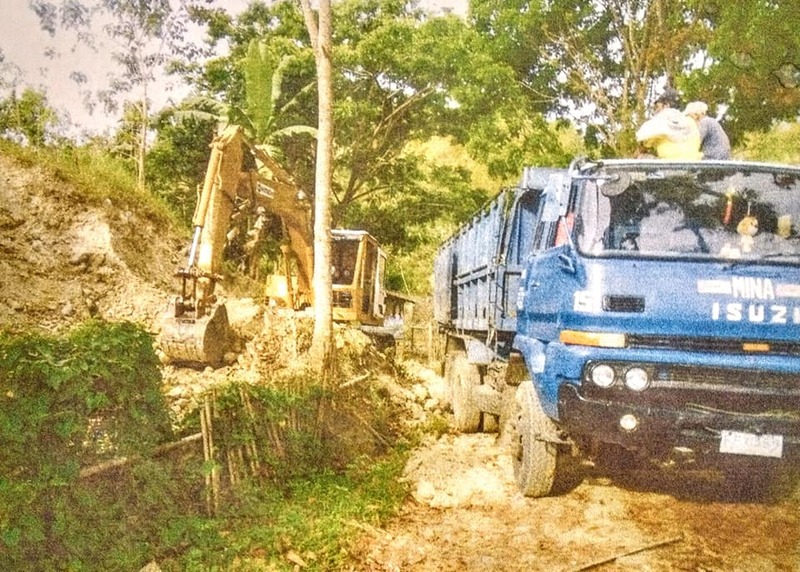 Maquiller said a backhoe and a dump truck are being held by the barangay. “Saturday and Sunday were non-working days so we were only able to act on it Monday. The illegal quarrying was started Saturday April 6 and several truckloads of filling materials were already extracted and transported. That area (of quarrying) is a public land and is under the Protected Area Management Board (PAMB). This quarrying has no permit from PAMB and DENR. Of course no permit also from us (barangay) because we know it is illegal,” Maquiller told newsmen this afternoon. Maquiller on Tuesday gave a copy of a Calatrava Police Station blotter on the matter, stating his report that at about 8 a.m. on April 8, 2019, a certain Mr. Patricio Cogonon Sr. of Brgy. Laga-an was illegally and unlawfully extracting filling materials from public land with permit nor consent of the barangay captain.